It's our third week, and the third reason I'm writing today. As I've mentioned before, my philosophical background primed me for interest in self-publishing. For whatever reason, Egoraptor influenced that my place doesn't have to define me. And here is the third part that finally pushed me into taking this author thing seriously. Self-published successes. When I started looking into publishing, it was right around the same time as the Kindle sensation arrived. Ebooks and e-readers were the hot new item, and people couldn't get enough. This opened up the doors to self-publishing on Amazon's platform, Kindle, and it's exclusive contract, Kindle Direct Publishing Select. The first month was pure consumption. I read, and read, and read some more. Anything I could find out about how writers made books and how readers picked them up from a bookstore; I fervently investigated. This was a completely new world I had never known existed, so I needed to do my homework. After three months, I had a lay of the land, mostly. Self-publishing was new, but it didn't have the familiar markings of a fad, like Pogs. I could tell this was a momentous change happening right in front of everyone, and I wanted to be a part of it. First things first, how will I pay the bills? Can I pay the bills? First I had to find a place where authors were making a living, and how viable it would work for someone like me, a new writer. And it turns out, things were looking good. 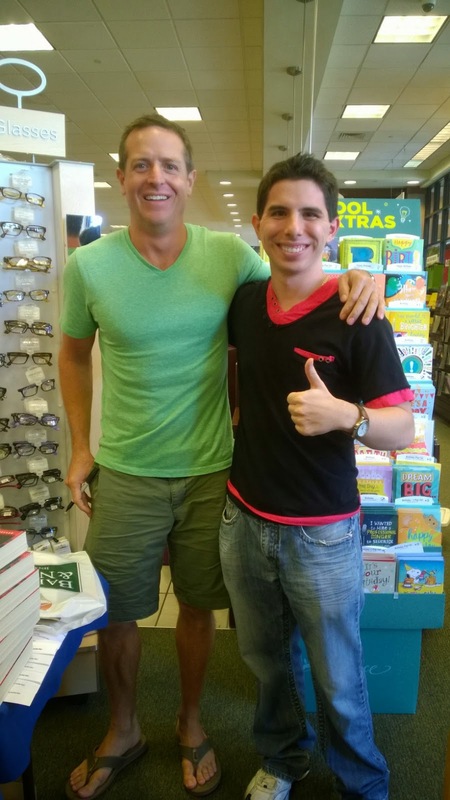 Two authors were the most visible at the time, Hugh Howey and Joe Konrath. Howey's Wool had skyrocketed in sales, and it was the major water cooler talk for months. No matter where I went, blogs or message boards, I kept hearing about Wool and how well it was doing. Other authors and their works would then pop up, but to be clear, Wool was always the lightning rod to spark the conversation. What was cool was that Howey also lives in the same region as me. I think a combination of Egoraptor and Howey made me start to think differently about my location. It helped seeing that Howey would put up the word counts for his projects on his website. I could see it was possible write a book, no matter the location. For a look at how the publishing industry ran, I had to look elsewhere. Joe Konrath and his Jack Daniels thrillers helped give perspective on the industry as a whole. His blog, A Newbie's guide to Publishing, is an invaluable resource for everyone. Konrath's journey comes from a traditional publishing background, but ended up finding more success through self-publishing his books. He made sure to grab back all the rights to his backlog, and still keeps up an active schedule of releasing new books every year. He was one of the first dissenting voices to traditional publishers when ebooks came about. He brought in his own experiences, as well as the trends he's noticed along the way. Even today, it's common to be told to find an agent and look for a traditional contract, when that simply isn't the case anymore. Countless people have been helped by finding out how simple it is to self-publish their works. All of this added up to me gaining confidence to write. I knew for a certain there was a future in this crazy mess. Not everyone would respect me for my choices, but that never changed in the first place. You'll always find those kinds of people.